Need logo design, marketing materials and a website soon, not months too late? Good branding is about what you do and why you do it. Effective branding is about a lasting impression. Long-lasting branding is the conversation people have about your business. 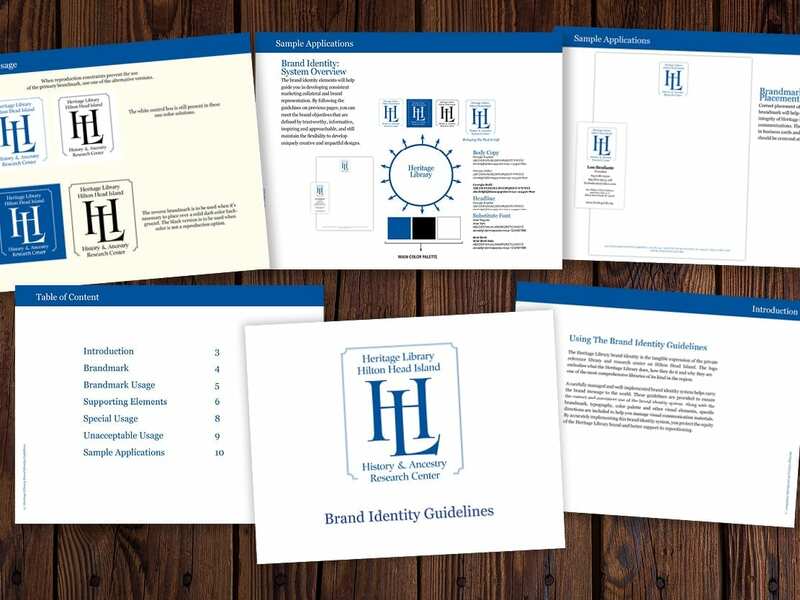 Heather and Mike Bragg understand what it takes to stand out with quality, consistent branding services across all marketing channels — from graphic design to social media and from websites to email marketing. This already sounds expensive, doesn’t it? The truth is you don’t need to spend your entire operating budget on developing your brand identity or an ongoing brand awareness marketing strategy. However, it’s important to make sure that the marketing budget allocated is spent thoughtfully and with a trusted and experienced professional branding company in Bluffton SC and Savannah GA. The Braggs found a need for business owners who are tired of marketing agencies that work against them, not with them. They developed the Bragg Brand Bootcamp process that will get you logo, marketing materials and a website in a matter of days, not months too late. Heather is wonderful to work with! The logos, marketing material and website she just developed for me are exactly what I was looking for. Highly recommend Bragg Media! Why Does Branding Matter for Your Business? If you’re a startup, you should consider what branding your business looks like before you open your doors because it can cost you more in the long term to fix. If you are a small to midsize company with a brand that feels stagnant, perhaps it’s time to inject new energy into your business. Branding is a concept that encompasses many aspects of your business — from tangible objects and materials adorned with your logo to the more abstract effect of how feels when encountering your brand. What business brand strategy comes down to is a strong, unique identity. When people hear your name or see your unique company logo, an image and an emotion occurs. That’s why the most important short-term goal for your business is to harness that recognition. Brand awareness is what keeps people coming back to check your website, to like a Facebook post or to show some love with a Google review. It’s about creating and nurturing public awareness, because your business needs this to thrive. As natural inbound marketers, we use our unique background of storytelling to move forward brand awareness marketing strategies that generate excitement and ultimately lead to new customers. The staff at Bragg Media marketing agency in Bluffton SC and serving Savannah GA develops long-lasting and often personal relationships with our clients that are grounded in trust. Our local Bluffton SC and Savannah GA marketing staff of professional writers, talented graphic designers and skilled web developers use the necessary tools to tell a memorable story — through quality logo design, social media marketing, web design, email marketing, public relations and advertising. Nike’s swoosh. McDonald’s arches. FedEx’s camouflaged arrow. (It’s true. Google it.) The carefully crafted imagery and moniker of your company requires quality graphic design and illustration that is easily recognizable in every format everywhere because that’s what it takes to stand out in today’s fast-paced world. The Bragg Media graphic design team has the experience and the talent to develop a brand identity that projects a powerful and positive image to the world at large. Developing a brand identity is vital because it’s the central focus of your business’ story. We create a narrative that the public will understand and respond to in a positive manner. So, when the average person sees your logo, they will remember your story. This visual recognition leads to implicit trust and a lasting legacy for your business. Professional logo designers understand that tasteful typography, illustration and graphic design play important roles in your brand identity. The Bragg Media team ensures that clients receive their logos in a variety of file formats (including vector), orientation, all white, all black and full color. Rack cards are 4×9 inches in size, and they’re used for take-aways at convenience stores, hotels, landmarks and rest areas. 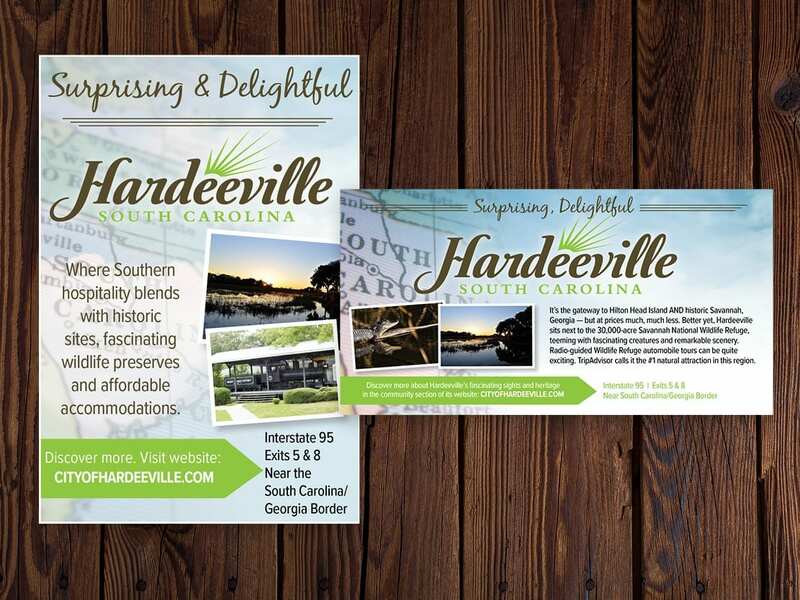 Postcards come in a variety of sizes and are used for direct mail and leave behinds. Posters and fliers are must haves for promoting special events. Fliers are typically 8.5×11 inches. Posters comes in a variety of sizes and are great high impact formats. From newsletters and magazines to booklets and ebooks, Bragg Media has a strong background in publication design. Successful social media marketing isn’t complete without custom graphics for #MotivationMonday and special event announcements. There are various size requirements for Facebook, Instagram and LinkedIn. Bragg Media maintains special relationships with local printers in Bluffton SC who ensure that our clients receive premium print products. The Bragg Media team works closely with Omega Graphics and Print to ensure premium print products that never fail to impress. The Omega team offers expertise on paper quality, treatment and color calibration for every project. Additionally, they offer an all-in-one direct mail service — printing, targeted lists and mail services. quality outdoor and indoor signs, 3D lettering, vinyl application, window lettering and high-end vehicle wraps. Bragg Media has worked with Scott Stamp from Coastal Marketing Services for years. His company specializes in direct mail marketing — from printing and mailing. They have an extensive database list for your target market audience. Learn how to inject new energy into your marketing with tips, free resources and exercises designed to elevate your business.